The Batman is an American animated action adventure TV series that adapts many elements of the previous Batman narratives. The show is centered on Bruce Wayne as he tries to battle crime under his Batman alter ego, with the help of his trustworthy butler - Alfred Pennyworth. 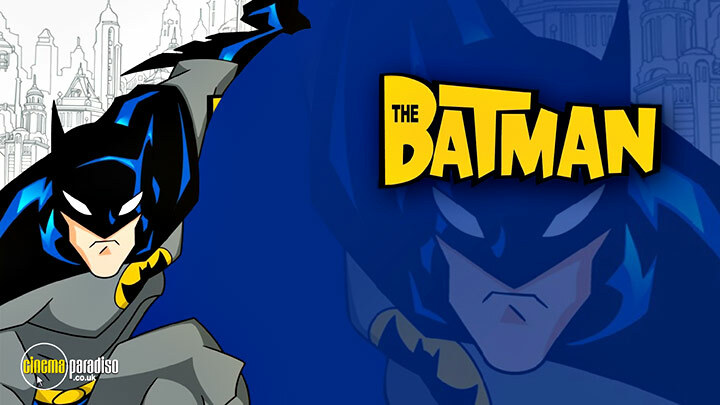 Voice actors include Rino Romano as Batman, Alastair Duncan as Alfred Pennyworth, Adam West as Mayor Grange, Ron Perlman as Killer Croc and many others. Hidden in the shadows, The Batman casts a protective eye while tracking the thugs, thieves and criminal masterminds that claim Gotham City's dark alleys each night. In one magnificent swoop, he descends upon opponents and battles with a fierceness that seems almost inhuman. This is the young Bruce Wayne who assumes the role of Gotham's greatest defender in a fresh retelling of the Dark Knight's beginnings. With incredible gadgets, awesome animation and a cool new vibe, these 13 exciting episodes from the hit series showcase The Batman taking on your favourite villains - The Joker, The Penguin, Mr. Freeze, Catwoman, Bane - and new crazies you'll love to hate! Soar through The Batman's first season of vigilante justice! 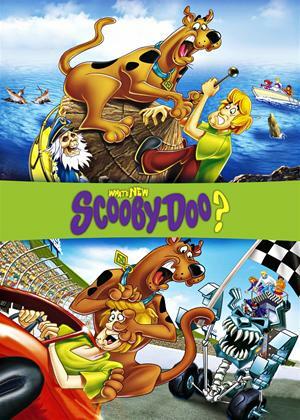 Season 2 introduced more villains: Riddler (voiced by Robert Englund), Hugo Strange (voiced by Frank Gorshin, the original Riddler from the 1960s Batman TV series, replaced by Richard Green after Gorshin's death), Rag Doll (voiced by Jeff Bennett), Spellbinder (voiced by Michael Massee), Killer Croc (voiced by Ron Perlman), and Solomon Grundy (voiced by Kevin Grevioux). At the end of this season, Yin is found out to have been working with The Batman. At the same time, another main character to the Batman mythos, Commissioner James Gordon (voiced by Mitch Pileggi) is introduced, along with the Bat-Signal. Yin and Chief Angel Rojas make their final appearances in the season finale. Season 3 introduced a young Barbara Gordon, who becomes Batgirl (voiced by Danielle Judovits) and plays a major role along with her father. 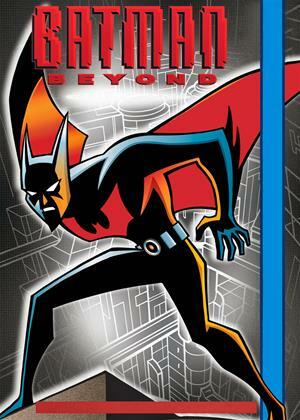 Barbara tries to be The Batman's sidekick, but he refuses to accept the need for a partner until the end of the season. This differed from the comics, in which Robin was The Batman's first sidekick; this was due to the Teen Titans animated series using the character, limiting his ability to appear in other shows, making it the only time Batgirl is Batman's first sidekick instead of Robin. Several villains are introduced this season: Poison Ivy (voiced by Piera Coppola), a different version of Gearhead (voiced by Will Friedle), Maxie Zeus (voiced by Phil LaMarr), Toymaker (voiced by Patton Oswalt), Prank (voiced by Michael Reisz), Temblor (voiced by Jim Cummings) and D.A.V.E. (voiced Jeff Bennett). Season 3 is ended with Strange becoming one of The Batman's enemies. In "A Fistful of Felt", The Batman discovers that Strange had turned the Ventriloquist, who had been cured of his multiple personality disorder, back into a criminal. In "Gotham's Ultimate Criminal Mastermind", the season finale to Season 3, Strange is brought to justice and becomes a patient in Arkham Asylum. In Season 4's "Strange New World", it is revealed that Strange went to Arkham only so he could come up with new schemes. The fifth and final season was said by producer Alan Burnett to be the show's "The Brave and the Bold season". This season primarily focused on the Dynamic Duo (The Batman and Robin) teaming up with members of the Justice League. Batgirl and Commissioner Gordon were dropped from the show as main characters, and only rarely appeared as guests or cameos. In Batgirl's case, this is because she has graduated from high school and is attending college ("Attack of the Terrible Trio"). 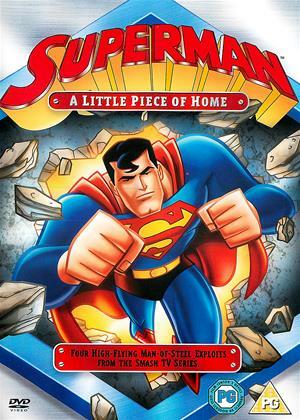 In the season's first episode, The Batman teams up with Superman (voiced by George Newbern). Besides Martian Manhunter, other team-ups for the season included Green Arrow (voiced by Chris Hardwick), Flash (voiced by Charlie Schlatter), Green Lantern (voiced by Dermot Mulroney), and Hawkman (voiced by Robert Patrick). The series finale features the entire Justice League. Villains for this particular season were a combination of rogues from the superheroes appearing on the show with some Batman villains. 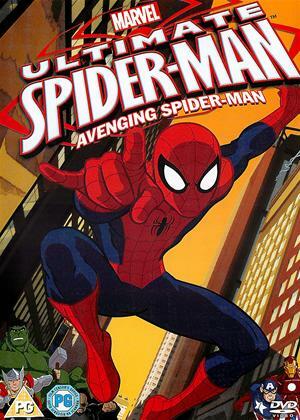 Villains include Lex Luthor (voiced by Clancy Brown), Mercy Graves (voiced by Gwendoline Yeo), Metallo (voiced by Lex Lang), Count Vertigo (voiced by Greg Ellis), The Wrath (voiced by Christopher Gorham), Toyman (voiced by Richard Green), Shadow Thief (voiced by Diedrich Bader), Sinestro (voiced by Miguel Ferrer), Mirror Master (voiced by John Larroquette), and the Terrible Trio (voiced by David Faustino, Grey DeLisle, and Googy Gress). Also, Firefly becomes Phosphorus. The Joining returns in the finale in alliance with Hugo Strange. 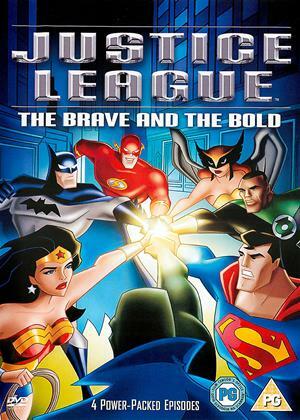 The final episode was a 40-minute movie, featuring all the members of the Justice League who have made an appearance in the show.